Yvonne is a wonderful guide and accommodating. Highly recommend her tours!!!. Yvonne was wonderful. Very knowledgeable and kind. She customized our tour with everything we wanted to see and more. She was very kind and thoughtful with our older friends and kept the pace that was right for them, made sure to ask if they needed rest stops, etc.... Highly recommend her if you are in the Amsterdam area. Yvonne is a historical expert on Ansterdam. We walked and boated through the entire city. When it started to rain, she had an idea of where to go and it was perfect. Her lunch spot was fantastic. Bringing us to the oldest bakery in Amsterdam for our first stoop waffle was sublime. I can't recommend her any more highly. This is my second trip to Amsterdam and my second tour with Yvonne. What can I say Yvonne is the gold standard for tour guides ! Yvonne is so knowledgeable, smart and fun it's like having a fun history lesson while having a lovely walk with a friend. Highly recommended! Yvonne was a delight to have as a guide. She was prompt and courteous, and very flexible in adapting the tour to the needs of our party. She did a great job of orienting us to the history and character of the city. I would not hesitate to engage her again when we return to Amsterdam. Highly recommend. Our tour went better than perfect, Yvonne is a wonderful and understanding tour guide, everything and more than we expected, will recommend her 100%. Yvonne was a wonderful, knowledgeable guide. Her English is perfect and she is so very willing to customize the tour to your requests. Couldn't ask for anything more! We loved the two days spent with Yvonne. The weather wasn't ideal - cold and damp - but Yvonne kept us moving and found us a bit of shelter to take the edge off at times. We so enjoyed the history she shared with us. We could never have learned so much in our short visit without her. Yvonne went above and beyond the call of duty by discovering where we could purchase some glasses that were used at de Silveren Spiegel. She also made sure we were confident in our surroundings when she left. Recommend! This was wonderful. Last minute it was just me on the walk, I learned so much and got really comfortable with the city. Thank you for your flexibility and making this comfortable for me. Yvonne's tour provided an excellent overview of the key neighborhoods and sights in Amsterdam, and the history and social developments behind them. She is very knowledgeable and responsive, and her enthusiasm for Amsterdam is infectious. We highly recommend her and this tour. This is a great tour. You get to see the city from a local perspective and understand the culture. AMAZING tour guide. Yvonne is the BEST!!!! Amsterdam has so much to offer. Can't wait to go back. I highly recommend this tour to anyone going to Amsterdam for the first time. Big thumbs up!!! Yvonne provided a very interesting and comprehensive tour of Amsterdam. She has great knowledge of the history of the city and all of the interesting landmarks and unique locations. We would definitely recommend Yvonne to anyone who wants to get to know this beautiful and special city. Well done!!! Yvonne was an outstanding guide. This was our first visit to Amsterdam and she did a great job featuring key historical information. She was most helpful suggesting restaurants and how to return to our hotel. If you would like to learn about Amsterdam city center then suggest you have Yvonne give you a tour. Yvonne is extremely knowledgeable and easily adapted to our interests. We thoroughly enjoyed our tour with her. She shared all sorts of restaurant and other recommendations with us that we greatly appreciated. Yvonne was great! We did a 5-hour tour and she customized the tour to our interests. Great mixture of facts with story telling to make the entire experience memorable. Loved all the little "tidbits" she knew and appreciated her advice for restaurants, shopping, etc. She is professional, friendly and we throughly enjoyed our time with her. Perfect start to our visit to Amsterdam. Definitely 5 stars! Yvonne did an incredible job for us. We were a small group of 5 with 3 adults and 2 teenagers (14 and 18). We flew very early into Amsterdam, planning on boarding a cruise in the late afternoon. We had a day and did not want to waste it. Thanks to Yvonne, we used every minute and had a wonderful day. She met us at the tourist center, found us a place to stash our luggage for the day, and off we went! She was extremely organized and knowledgeable. We saw so much in such a short time. Thank you!!!!! It was a wonderful tour to experience Amsterdam from land and sea (canals). Yvonne is very caring about her guests and adjusted our tour as we were getting tired and hungry. Had a delicious Amsterdam snack of bitterballen and craft beers. Highly recommend Yvonne! Yvonne was a fantastic tour guide. She was knowledgeable and passionate about the city. Her tour route took us to many different parts of the city we would not have visited on our own and her stories gave us a good understanding of what we were seeing. She was great with our kids (ages 7 and 10). We had a wonderful time spending the day with her. An above and beyond guide. This tour provides and intimate tour of the inner part of Amsterdam--we saw areas and gained and understanding that really help us get to know Amsterdam--I thought I had a good understanding of Amsterdam from an earlier trip but boy was I wrong. It was like getting a tour from a family friend. She also provided some added value by helping us explore our hotel choices and restaurants. If you do no other tour while in Amsterdam this is one you should do. Yvonne provided our group of 4 a wonderful private tour of Amsterdam by Hop On Hop Off canal boats. She included walking segments where appropriate for us to increase our knowledge gained. The different perspective of the street view and the canal view are quite spectacular. Thank you Yvonne for a wonderful tour. Wonderful half day with Yvonne. She showed us so much of Amsterdam in just 4 hours. Yvonne is detailed and dedicated to her work. We spent a lovely day and a half with Yvonne and a pace that suited us all. My two teenage daughters were very comfortable with Yvonne and she listened when the chattered on. It was delightful to learn about the history of Amsterdam and the architecture of the drunk buildings while walking or on the boat. Even nicer is that Yvonne organized a little cheese and chocolat tasting with delightful vendors off the beaten track. It felt like meeting a friend every morning and made the whole trip relaxed. Yvonne was great. She showed us all we wanted to see and more, and she answered all of our questions about Amsterdam. Excellent guide ! This is my 4th time using tours by locals in different cities and I have never been disappointed. However without hesitation Yvonne was the best guide yet. She is smart, interesting and fun. She is very accommodating to your individual interests and pace. I highly recommend her. Yvonne made Amsterdam very interesting by sharing her valuable knowledge about Amsterdam facts and stories. She made the city very living by telling us small details about history, building and persons that made us curious and happy. Her personality and interest in the group made the tour a real family tour. It couldn't have been better - this was EXCELLENT in all aspects! Yvonne was a fantastic tour guide. She was very knowledgeab, friendly, answered all our questions and even made suggestions for places to eat and other activities to do on our trip. My mother is older so does not walk that fast and is also hearing impaired. Yvonne ensured that the pace suited my mother and was also flexible and agreed to wear a mic that was wirelessly connected to her hearing aids. Her English was perfect. I would highly recommend Yvonne as a tour guide. This was the perfect tour for us. Yvonne is very professional, speaks perfect English and was able to modify the tour perfectly for our needs. We travel extensively and have used guides all over the world. I can honestly say Yvonne is the best we have had. Yvonne was the perfect tour guide; knowledgeable, friendly, and responsive to our wishes. It was a thoroughly delightful tour. Yvonne was absolutely fantastic! She showed us Amsterdam over two days - four hours each day. Her breadth and depth of knowledge was outstanding. She is warm, personable and a great companion for learning the city. Her command of the English language is very, very good. 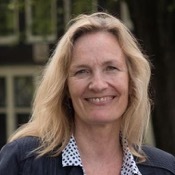 If you are looking for someone to show you the ins and outs of Amsterdam in a highly professional yet friendly manner I recommend Yvonne without reservation. I enjoy photography and asked Yvonne to show us Amsterdam at sunset and beyond. The city looks very different at night and the energy is different. It was so helpful and enjoyable to have Yvonne show us where to go and what to see, AND she has extensive knowledge about so many aspects of the city. I got some fantastic shots that evening! Not only was Yvonne a great tour guide, but she was very helpful to us with our free time. She is a real find for any traveler / visitor! We, my husband and I, had THE BEST time exploring Amsterdam with Yvonne as our new local friend and skilled guide. Yvonne and I communicated ahead of time to arrange a plan, but as she quickly got to know us, she adjusted the tour to suit our interests with things she thought we would enjoy. We so enjoyed our time with Yvonne, we couldn't wait to join up with her again the next evening to see Amsterdam at night. Yvonne is a superb guide and an even more wonderful person! Yvonne was so friendly and knowledgeable. She went out of her way to accommodate our time frame and questions with follow-up emails. I would highly recommend Yvonne! Yvonne made a rainy day in Amsterdam a fun, interesting and informative afternoon! She was an excellent and knowledgeable guide to the city, taking us on a very interesting tour filled with fun facts about all the areas we visited. Yvonne was super friendly and her constant smile and personable manner made an otherwise cold, windy and rainy day so much fun! We highly recommend her guiding services. Thank you Yvonne! I rate the overall experience 10 out of 10. Our guide Ivonne was knowledgeable and very nice. She customized the tour for us. It was my first time with TBL, and will use again. I'd recommend TBL. Yvonne was great. We had two separate four hour day tours (one walking, one hop on hop off boat). She was attentive to our needs, very knowledgable about the history, etc, always timely and pleasant to be with. Gave us good recos for places and activities to go back to and of course, restaurants. Very nice job! This review is overdue but necessary because we still think about the fabulous tour we had with Yvonne. Our only regret is that we scheduled her for our final day in Amsterdam. Had we had more time, we would have booked another tour with her because she was so informative and enjoyable. Yvonne is a great guide - informative, helpful, interesting and kind. She ranks very high among the many TBL tour guides we have enjoyed over the last several years. We recommend her without qualification! Yvonne is amazing & quite a joy to spend time with. She has a great knowledge& ease of travel so one feels good at all times. It was such a pleasure to meet Yvonne and have her guide us through parts of Amsterdam we had never seen. SHe organized a private boat excursion through the canals which was such a treat. Seeing Amsterdam from the water is a must. In addition, she kept it light and interesting enough for our two 20 year olds also organizing a micro-brewery tour. I would highly recommend Yvonne as a guide. We had a GREAT tour with Yvonne! We told her we had no particular interests and just wanted to get a good overview of Amsterdam as we had not been before. The tour she created was so interesting! She covered the general historical/landmark points but also provided lots of "color commentary"--the WHY of many things, which really brought a spectacular city to vibrant life. WHOLE HEARTEDLY recommend a tour with Yvonne! What an amazing tour! Yvonne is an EXCEPTIONAL tour guide! She is kind, patient, and SO knowledgeable! My family and I had a brief stop in Amsterdam, and Yvonne was able to show us everything we wanted to see in just a few hours. She was so nice and upbeat, and made sure that our kids were enjoying the tour and answered all of their questions. I wish Yvonne could go on vacation with us everywhere! Don't tour Amsterdam with anyone else! Yvonne was an amazing tour guide to our family of English and German speakers. She had a vast knowledge of the history and hidden secret places that made it fun for everyone. She was patient, passionate and knowledgeable. Could not have asked for a better guide. Yvonne came highly recommended by a friend and he was right. Thank you Yvonne, we loved the tour. Yvonne provided an excellent introduction to Amsterdam filled with insider information, like the bakery near our hotel where we enjoyed morning goodies. As important as our walking tour was her helpful advice before we left home on securing advance tickets to major attractions. We were introduced to most of the must-see areas of the old city, given a helpful lesson on riding the tram system, and shared a delicious lunch together away from the crowds. Highly recommended! Yvonne met us at our hotel for our customized hop on hop off canal and walking tour - we had awful rain in the morning and she adapted our tour perfectly. She was very helpful recommending other sites for us to see and restaurants for us to visit in our spare time. She gave us great history and commentary as we walked around. We were a family of 4 with 2 teens and she did a great job of trying to keep them interested! Thank you Yvonne! Yvonne was really knowledgeable of the city and great at navigating us where we wanted and didn't want to be! Yvonne was great at answering any and all questions and making sure the tour was tailored to our needs. Her love of the city and interest in sharing it with others shines through. Yvonne was lovely and we enjoyed our walking tour with her despite having been up for 24 hours straight. She went out of her way to try to help me fix a problem I had created in getting tickets for another attraction. I would highly recommend her. We had a great time with Yvonne in Amsterdam. Yvonne was exactly on time, spoke beautiful english and very knowledgeable about every aspect of Amsterdam. We enjoyed our tour and the time went very quickly. Would recommend Yvonne with the highest regards and if ever we come back to Amsterdam would ask for yvonne. Yvonne was such a pleasure! Her English is excellent, and she is friendly, accommodating (we had one person who was a bit under the weather and two with problematic knees!) and incredibly knowledgable. We learned so much while chatting and laughing like old friends. If we return to Amsterdam, we'll be calling her for sure! We were a party of three for this tour. Yvonne met us at the hotel on time and asked what things we were interested in. She was prepared to accommodate different areas of interest and provided a great tour around Amsterdam' older section. She checked that the walking pace was comfortable and kept us from being run over by the bicycle riders ( no easy feat). Yvonne is very knowledgable and communicates very well. I would reccomend her to anyone looking for a tour in this city. Yvonne was the best! Even before our trip began she was incredibly helpful in creating the best tour for our group. Fast to respond I could not have done this without her! In Amsterdam she took us to places we would have never found on our own, and always with a smile! Yvonne had so much knowledge regarding the history of the Red Light District. I highly recommend her as a guide there or any tour! You cannot see Amsterdam with out Yvonne!! You will not get the inside scoop without her energy, flexibility and knowledge! Yvonne was wonderful!!! Highly recommend this tour! Yvonne was the perfect tour guide! We had an amazing day in Amsterdam. She took us to so many sites in the city and gave us plenty of history and information along the way. The tour included a canal and walking tour. She took us to sites that we would never have seen on our own. We loved having lunch in a local restaurant rather than one visited by mostly tourists. She adapted the tour to include ice cream for my 8 year old and shopping for wooden shoes for my 11 year old. My wife and I enjoyed our walking tour with Yvonne. It was a wonderful way to see the old city and understand the history of Amsterdam. Yvonne also tailored the tour to our specific desires. In our case, we wanted to see a slice of the food in Amsterdam so we tried the best fries, a local fast food place where you put in money in a vending wall, and had a lot of restaurant recommendations. Yvonne managed the time very well, was flexible and also solicitous of our well being. We highly recommend this tour! Our tour was well thought out and well planned per our description. Yet Yvonne was entirely flexible and willing to respond to ours reactions and likes and dislikes ( none of the latter really) throughout. In addition she was pleasant and informative to be with and seemed genuinely interested in our having a good time and getting the most out of the tour. Finally we enjoyed her good company. I would recommend her without hesitation. We had a delightful time with Yvonne. She was well-informed and aimed to gear the tour to our interests. She went the extra mile to provide us with additional information after the tour to enhance our remaining time in Amsterdam. Well worth the cost, and so much more personal than the crowed ship tours. Yvonne was just great. Two of our party had walking problems, so the hop-on-hop-off cruise portion, combined with walking, gave us a full day of sightseeing, without any problems. Her knowledge of the city, and it's history were amazing, and you could tell she loved what she does. Warm and friendly, she made us feel like family. At the end of the day, we felt like we had made a new friend. MUCH BETTER than any cruise ship tour. Yvonne is an excellent tour guide! She is knowledgeable, professional and very friendly. On our walking tour we visited all the sights in Amsterdam we wanted to experience and more, including interesting places overlooked by most tourists. We recommend her very highly. Yvonne is a very knowledgeable and interesting guide. We thoroughly enjoyed our 3 hour tour and felt that it gave a great overview of the city. Yvonne was excellent! Our canal/walking day allowed us to get an overall view of the whole city. She is knowledgable, professional and very considerate. I would recommend her very highly. We spent 3 hours touring Amsterdam with Yvonne. It was my husband, my 10 year old daughter and myself. She showed us all the highlights and explained the history so my daughter could understand. The pace was moderate - certainly comfortable. Per our request, she added the Nine Streets to the tour and removed the Red Light District. She showed us places to eat and timed the tour to end near the Anne Frank House at mid-day - where we enjoyed lunch before we toured the house on our on. Yvonne was smart, friendly and full of knowledge about Amsterdam. She enhanced our trip enormously even though we had been there twice before. She filled in a lot of blanks. I would recommend her to anyone looking for a deeper view of a great city. Yvonne loves her city and we did even more after her tour. She was extremely helpful in answering questions and accommodating our needs. Highly recommended. Yvonne did a great job. She inquired as to our needs and interests beforehand, met us right on time, kept a nice pace, answered all our questions and kept us very engaged. We saw some terrific things and she was very helpful with some follow up questions. Thanks! Yvonne is a warm, thorough, and very knowledgeable guide. With Yvonne, we had a great overview of Amsterdam; she will adapt a tour to whatever you'd like to see the most. We really enjoyed the smaller things she brought to our attention--charming courtyards, former orphanage, etc.--that we never would have known without her. Yvonne goes out of her way to make sure you get all the information you need (such as how to use mass transit) and strives to make sure she's meeting expectations. Excellent tour! This was our first Tours by Locals trip and we couldn't have been happier. The entire experience was fantastic - from the booking, the information provided by Yvonne before our trip and the great tour itself! Yvonne did an excellent job of tweaking the tour to accommodate our family with three children -just enough of exposure to the more adult aspects of Amsterdam while finding the best chocolate and "dutch fries" for the younger ones! All in all a great experience and highly recommend Yvonne! Yvonne's tour was like having a friend meet us to show us around. Amsterdam is a beautiful city in which history, art and every shape or form of building stand literary shoulder to shoulder; often leaning on each other. Yvonne gave us a clear picture of the architecture, history, cultures, tolerance and neighborhoods as we walked along the canals and streets. She shared ideas on where to eat, how to get around and things to do. If you are looking for a casual, informative and friendly tour this is it. Great Tour with a great guide. 100% to recommend! Yvonne is an excellent guide and takes special care of her guests. Even before the tour she made a lot of effort to ensure that all arrangements would go smoothly. She added much value to our experience by giving interesting information and pointing out special places and worthwhile sights. It was really a memory making experience. Yvonne was great. She was attentive to our interests and very knowledgeable about Amsterdam and its history. A great introduction to a great city. As a bonus, her restaurant recommendations were spot on. Yvonne was exceptionally knowledgeable, very pleasant, extremely accommodating and her introduction to Amsterdam could not have been more comprehensive. Yvonne completely customized the tour to our needs. She was knowledgeable and friendly. She showed us unique spots in Amsterdam and made its history come to life for us! Thanks. A nice Old City walk with many beautiful hidden details and historic references. Excellent tour of the city. Wonderful information provided on little known facts about the city. She provided us with lots of tips and trick to use to make our stay enjoyable and more productive. I would recommend it highly if you have never been to the city before. We had the pleasure of taking the three hour walking tour with Yvone and would rate it 5 star. She was extremely knowledgable and friendly. We were a group of 8 and she made it a point to ensure that each of our queries was addressed. Her insights were amazing and provided us a beautiful perspective of the city. We would highly recommend her for anyone visiting the city. What a great private tour around Amsterdam! Yvonne knew just the kind of places that we like to see (everyday culture and people) as well as the top tourist sites. What I like about the small tours is that I get a chance to ask questions. Great walking and boat tour of the city. Very warm and friendly with good advice on restaurants. Very knowledgable of her city. Made sure to pace the walking tour to meet the needs of every member of our group. Her tour added a great deal to our short visit of Amsterdam. Yvonne was excellent. She tailored the tour to our needs and checked with us often to determine if there were other areas we were interested in. Extremely knowledgeable and personable.. Would highly recommend Yvonne. Thank you.